I have two apologies about today’s post. First there are more eagle pictures. I’m sorry but this series of images tells a neat story so I felt compelled to show you these images. Secondly I apologize for the lack of sharpness of these images. This juvenile eagle was flying very close to a fence and the auto focus kept jumping between the eagle and the fence so they are not tack sharp images. Aside from that these are some fun images. 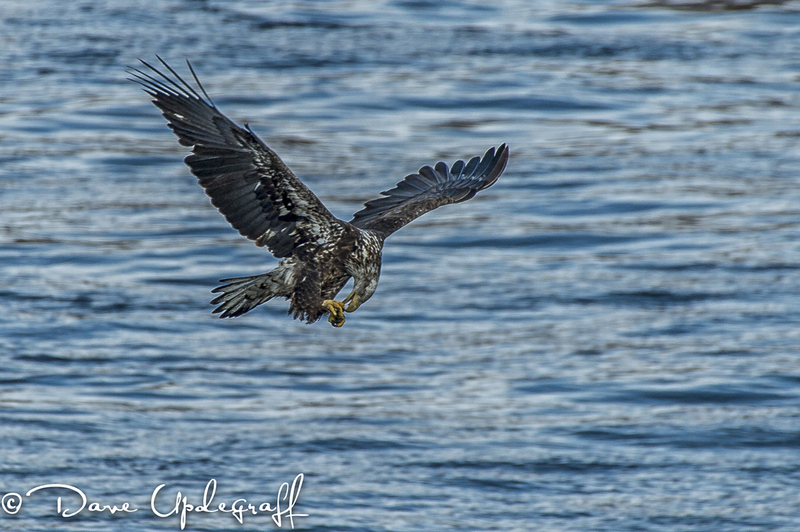 You may remember I told you a couple of days ago how the juvenile eagles would time after time come up empty-handed and would then try to steal fish from the more successful mature eagles. Well as I was sorting through my images from the Guttenburg shoot I had this series of images slated for deletion until I got to the last image. Just a reminder you can click on the images and make them much larger and easier to see the detail. 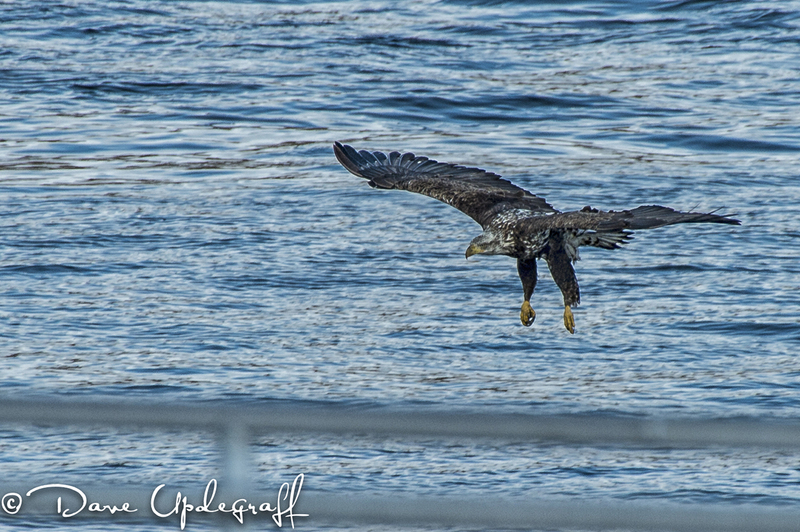 I captured the first image in this series of the eagle coming in for a catch. I could not get the image of him actually striking the water because he was behind the fence. However as he circled and gained a little altitude it appeared at first glance that his talons were empty. 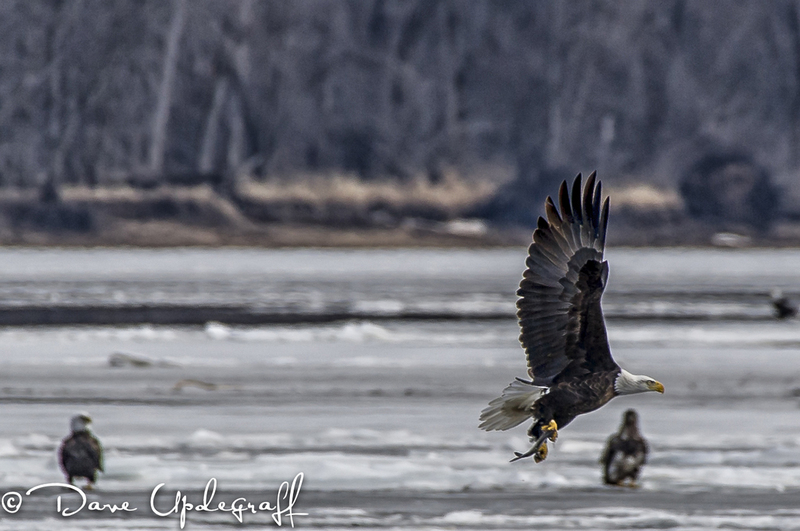 Jeanne and I went to a talk on eagles last year put on by a photographer from the Des Moines, Iowa area. He wrote a book about the return of eagles to Iowa and had many wonderful images of eagles. One of the things he said was that often times an eagle will look down at his catch and if the fish is small enough he will eat it on the fly so that he doesn’t have to defend his food while he eats it. So this eagle is doing that and again when I first went through the images I though to myself… Young kid, doesn’t even realize he has nothing in his talons. Boy was I wrong. I love capturing images of eagles. I can stand in the cold and watch them for hours having their little turf and food battles. I enjoy watching them interact and even just sitting. They are such a magnificent creature. Don’t be surprised if you continue to see images of eagles from time to time on this blog. That’s it for today gotta run. Hope you enjoyed this young eagle’s success. Thank you for stopping by. Enjoy your day (each one is a gift you know) and please be careful. 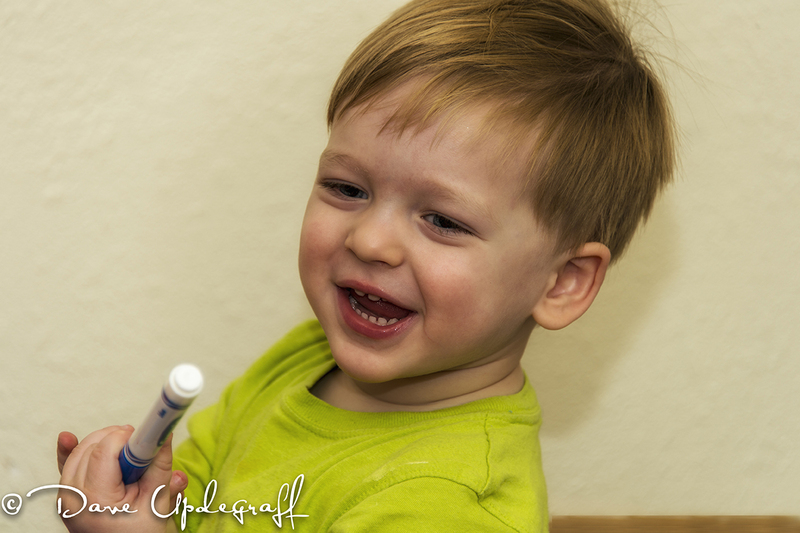 I know that I haven’t had many images of this little guy for awhile. It’s my fault as I’ve had the opportunity and was just busy doing other things that were not nearly as important. Anyway Angie and Josh stopped over for a visit Friday evening and had pizza with us. We had a great time playing in the “toy room” as our kids called it. Josh still finds the toys his Mom and Uncle played with to be fun and interesting. No they don’t light up and talk to him but he can use his imagination and have so much fun pretending. 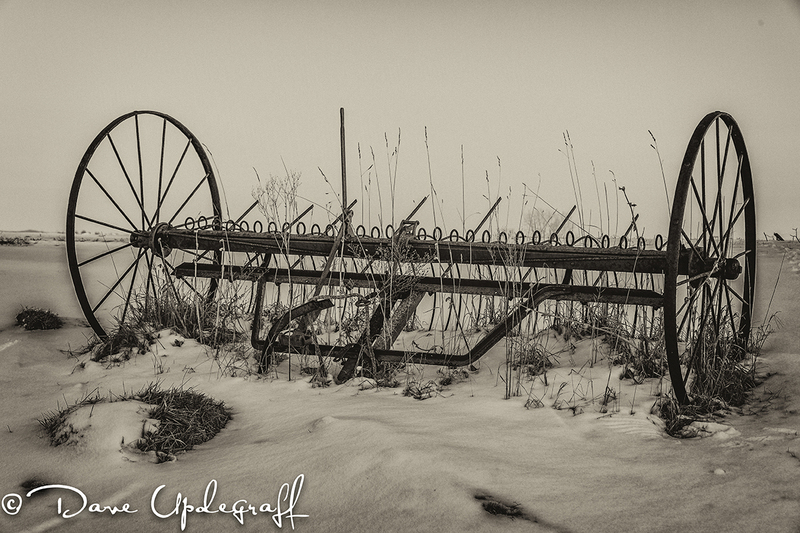 Short post this morning as I have to go clear the driveway of snow and head out for work. Thanks for stopping by. Enjoy your slippery Wednesday. Be careful. Posted in: Daily Posts. Tagged: Bridges, Ducks, Hay Rake. 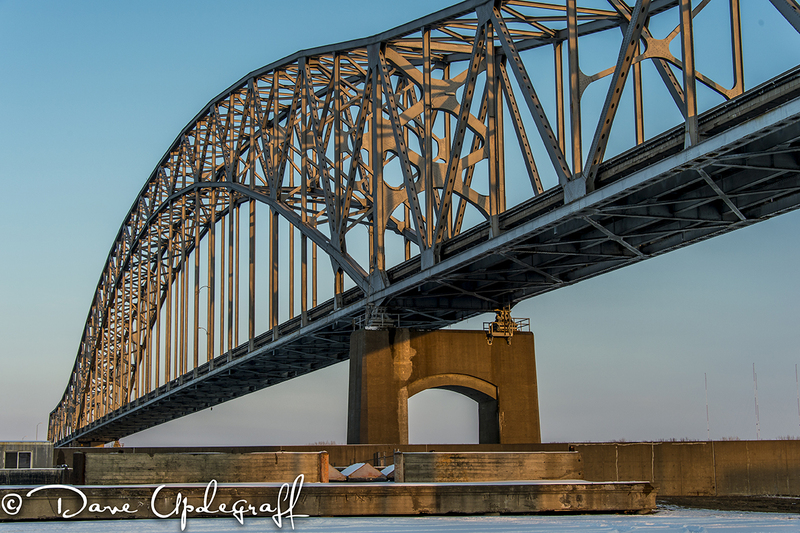 As we often do on a Sunday afternoons, Jeanne and I took a drive around the area looking for things to shoot. I always like to check out the 16th Street Basin but again, on Sunday like it has been so far this year, there was nothing going on. Two ducks were swimming in the lower corner (the only open water.) so we moved on to the river. There were eagles flying over the dam and some in trees but there were also fishermen in boats just below the dam so the eagles were not interested in getting close to them. 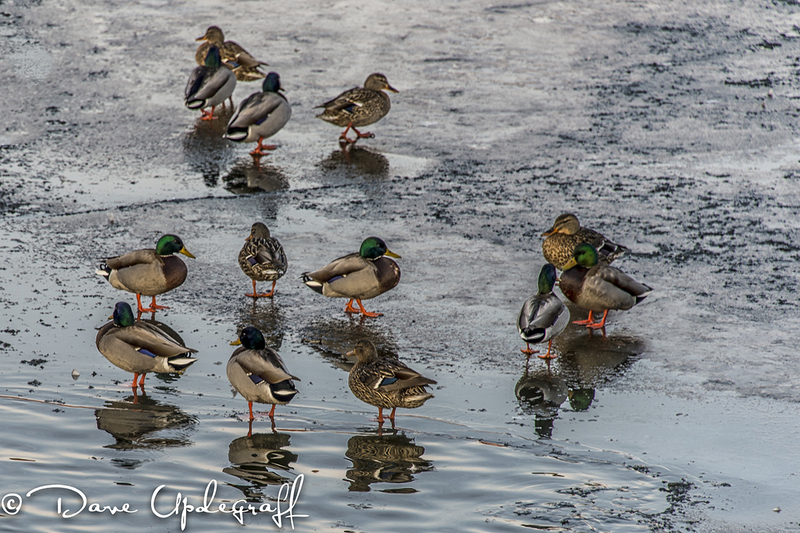 We then went over to the ice harbor and found the ducks. Last year they were at the 16th Street Basin in great numbers. The year before they spent most of their time on the 14th Street stream. I love to watch the ducks play and interact with each other. Since we couldn’t find them this year at their usual digs I thought perhaps they have moved on. I’m glad to see they are still around. There just wasn’t anything that caught my eye even though we drove about 40 miles total. Lots of barns but none in good light or they had metal roofs. Jeanne doesn’t like barns with metal roofs so I have crossed them off my list. We found some barns with high stone foundations and weathered siding but the light wasn’t good or the barn had a metal roof. There you have it. Three unrelated images with no theme just what we found on a Sunday afternoon drive in Eastern Iowa, Western Wisconsin and Illinois. Thanks for stopping by. Enjoy your day, more snow coming so be careful. A full five-day work week this week. I’ve had a four-day work week the last three weeks so this is going to seem like a long week. 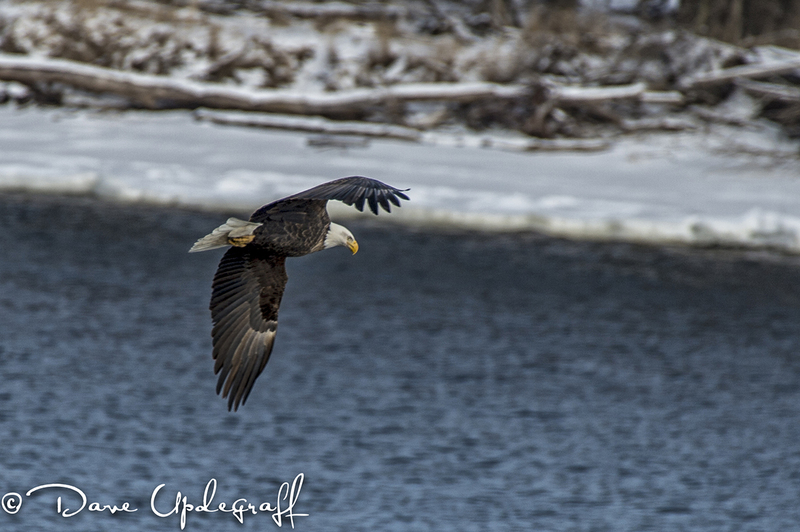 Saturday Jeanne and I drove up to Guttenburg, Iowa to see if the eagles were still busy around the dam. It was about 20 degrees with a light wind but it was uncomfortably cold none the less. The river ice had changed in the week since I was last there. Where I stood and shot images of eagles last week was no longer there. 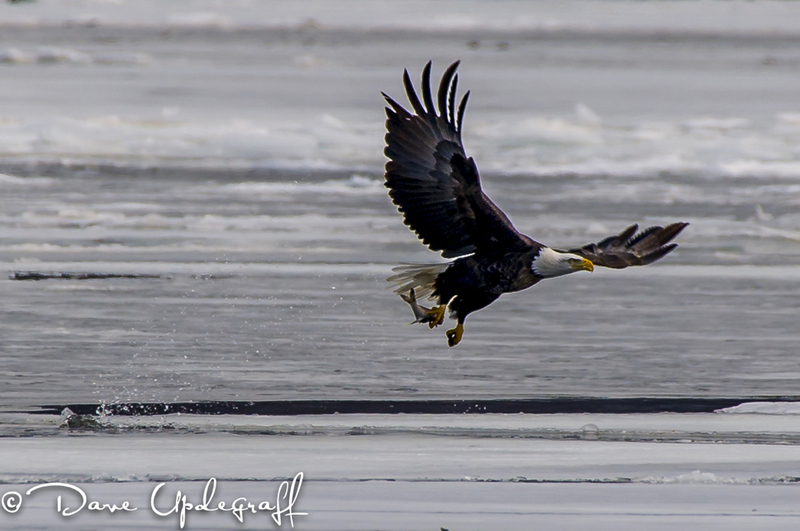 The ice had moved closer to the dam and there were no eagles sitting on the ice. So we moved closer to the dam, which limited the shooting range because of the fences around the dam. 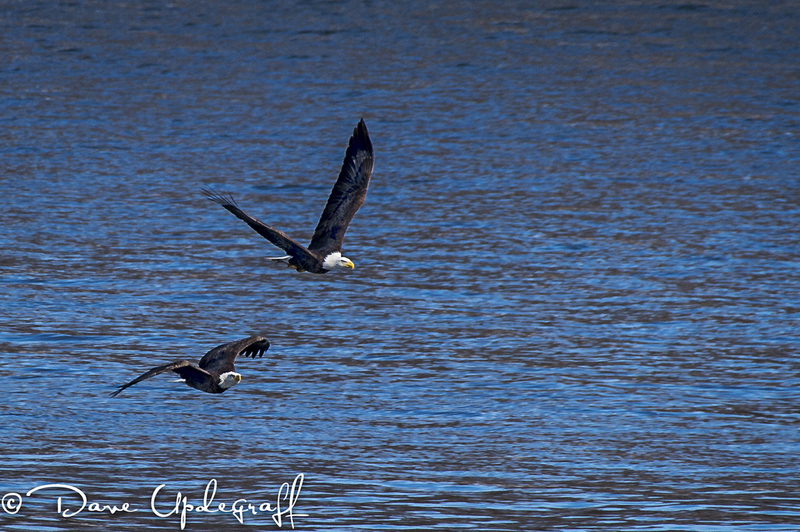 The good news was there were lots and lots of eagles fishing just below the dam. When we first were parking the car on the main street by the dam a mature eagle with a fish in his talon was being chased by a juvenile who wanted to take it away. They came close enough I could have gotten a frame filling image with a 70 mm lens. Unfortunately the camera and lens were in the back seat and I was still strapped in with my seat belt. I’ve heard of deer hunters getting what is called “Buck Fever” being so excited they couldn’t pull the trigger. That’s what I felt when they flew over, I don’t remember ever being that close to a wild eagle in my life. Some good news about the lens. It never miss behaved once Saturday. I shot 1,140 images and not one black frame in the bunch. 🙂 I have a ton of out of focus images but that was all 100% my error. I don’t know why I shoot some many frames when I’m shooting eagles. I know what works and what doesn’t but I get pretty excited I guess and try to capture every thing that happens. My good Friend Dave told me something about the fishing below the dam that eagles do. He said that when fish go through the dam many times they get stunned and will float on top of the water for a period of time. It makes easy pickings for the eagles soaring overhead. The most interesting thing I saw Saturday was the number of attempted take aways. 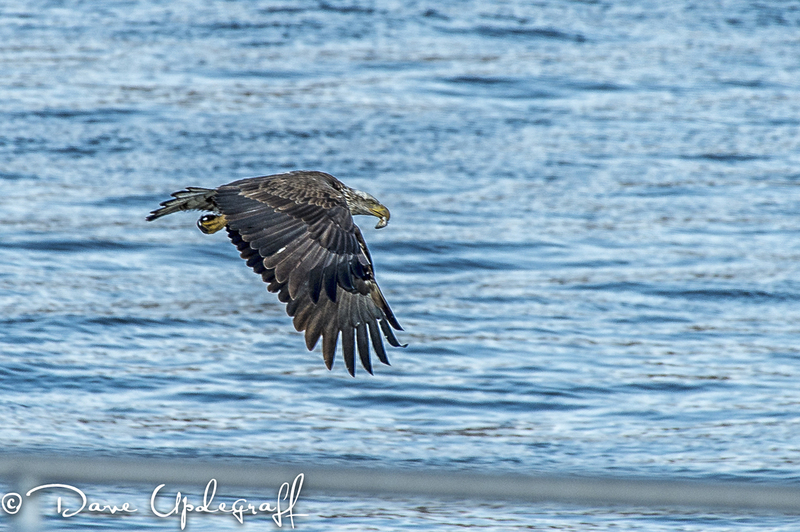 Mostly from juvenile eagles who would time after time hit the water for a fish only to come up empty-handed. I have tons of images showing that to be the case. But a mature eagle would catch a fish and there would be one or two juveniles trying to grab it away from the mature eagle. I have seen some of that before but not to the extent I did Saturday. We stayed at the dam for about an hour and then decided to come home through the country. 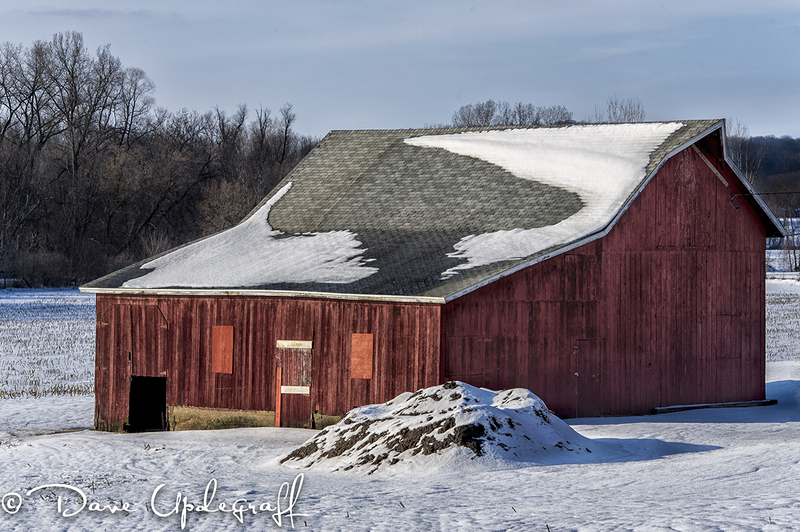 Saw a lot of barns I should have photographed but the sunlight was pretty harsh and so I passed on all of them. 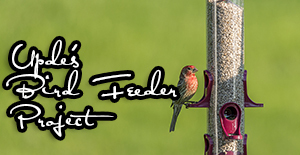 Thank you for checking out the blog. I hope you enjoy your Monday. I’ll have some non-eagle images tomorrow. Be careful. Happy Friday. More snow today will make for an interesting commute to work. I also have to go to Cedar Rapids this morning so I’ll be spending quite a lot of time on the road. Yea! No more eagle images until I shoot some new ones and I’m sure I will as I just can’t resist trying to get the shot I have in my mind. Enjoy your Friday and the weekend. Hope to be out amongst them with camera in hand. Thanks for stopping by and be careful. I am sorry to do this but I spent 4 hours at Guttenburg on Monday and I am compelled to show you some eagle shots even if they are not the best. If you scroll down to last Tuesday’s post the second eagle image is one of this guy just hitting the water with his talons and the images that are on this post are that same eagle with his prize catch (which is a pretty nice fish.) These are not the images of eagles that I have in my head when I try to capture eagles but I keep trying to get better shots. Still these images tell a story. This guy was sitting in a tree watching the river when I notice him launch from the tree do a pirouette dive toward the water and grab this fish. 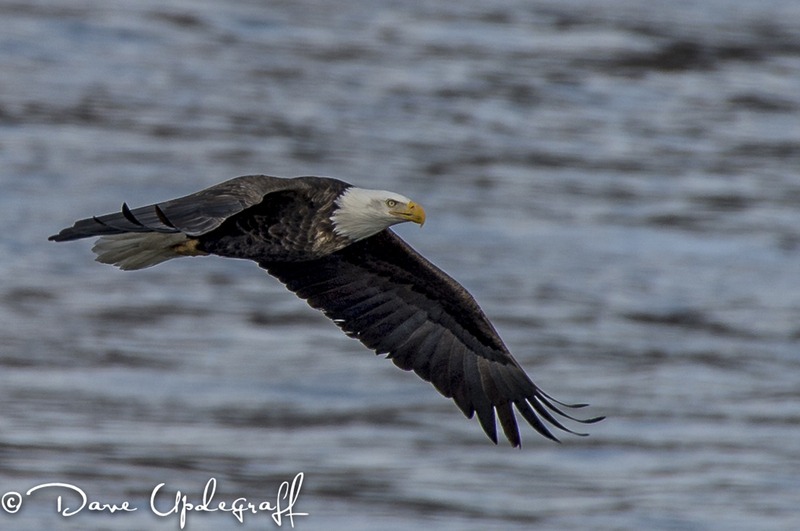 I shot about 50 images of him flying across the river with all the other eagle eyes on him and finally end up in a tall tree on the opposite side of the river where he probably consumed his catch. 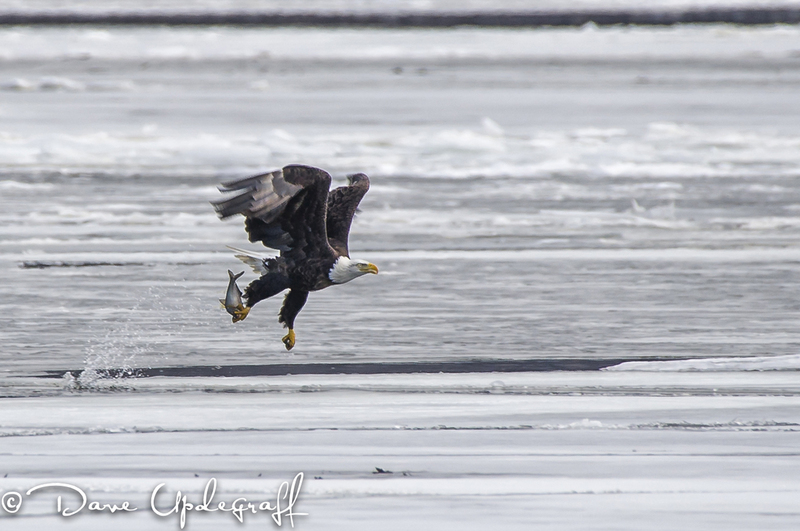 Occasionally I would see (especially a young juvenile) an eagle with a fish and he would land on the ice to eat his catch. That only led to other eagles flying over to his location and trying to share in the bounty. Those eagles that fly up to trees to eat seem to get less competition for their food. I could enjoy watching eagles all day long. They are such a majestic creature and interesting to watch. I will keep trying to capture the image of an eagle that I have in my head. Thanks for stopping by. Enjoy your day. We’re apparently going to enjoy another snow storm. I’m so happy. Thanks for stopping by. Be careful. I saw this wagon in Guttenburg Monday and wanted to photograph it. It was on private property and the area around the wagon was really muddy. There was no good place to park so I only shot from the roadway. 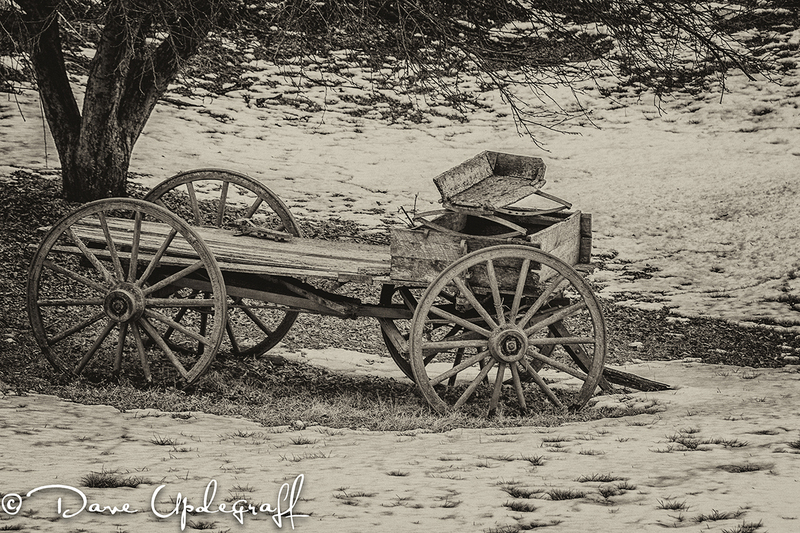 I would have liked to explore different angles of this old wagon so I will go back when it is a little warmer and drier and see if the owner will let me photograph it. I still have about 200 eagle images to sort through. Don’t worry I’m not going to show them all but there are a couple that may be worthy of your viewing. Depending on what today brings I may show some more of them on Thursday. I have a busy week ahead of me. I have to also be in Cedar Rapids Thursday and Friday (depending on the weather) so I may not have time to get to them. Short post today as usual I’m running behind. 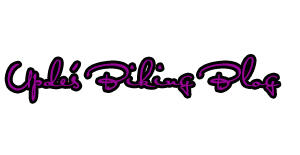 Enjoy your mid-week hump day and thanks as always for checking out the blog. Be careful.